On behalf of the Board of Directors, welcome to the Foundation of Pelican Marsh community website. Feel free to explore the features available to the public on this site. You must be a homeowner in Pelican Marsh to access information about the Foundation such as governing documents, financials and other specific information pertaining to the community. If you are a Pelican Marsh homeowner and have registered as a member of our website, click here to login and access all available documents and features. If you are a homeowner who has not yet registered, please click the register tab above. There are 26 named communities within Pelican Marsh consisting of multi-family/condominiums buildings and single-family homes. About 40% of our residents with an average age of 58 live here full-time. 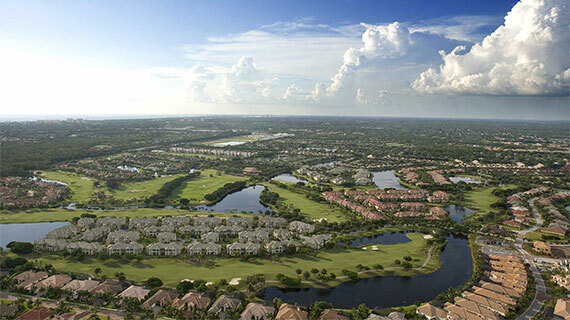 Pelican Marsh is ideally located in North Naples about one and one-half miles from the area's best beaches. Shopping and dining facilities are within blocks. The community is blessed with beautiful, mature landscaped communities and roads with 133 acres of nature preserves providing a terrific environment for wildlife including eagles, wading birds and many other interesting creatures. Top rated tennis courts providing programs for both the avid and casual tennis buff. The tennis pro shop offers services including new equipment, racket stringing, lessons and clinics. Fitness center with state-of-the-art equipment, onsite fitness trainers and exercise programs. Social program that plans many activities such as shopping, sports events, and concert trips to suit the interests of the residents. Pelican Marsh also has a Golf Club which boasts an 18-hole championship golf course — named one of the top three courses for the 2000 and 2001 Senior PGA Tour. Pelican Marsh, designed by world-renowned architect Robert von Hagge, reflects his appreciation for pristine, natural settings and his passion for great golf. The course has generous landing areas, and gently contoured Tif Eagle greens. An expansive golf layout with 18 individual and distinctive holes specifically designed for the broadest spectrum of abilities, along with an expertly designed practice facility featuring on-site PGA Professionals. Pelican Marsh Golf Club is a private membership facility with a variety of golf, social and dining memberships available. A resident elected Board of Directors for the Foundation of Pelican Marsh is responsible for the operations and capital improvements of the Community Center and related amenities. An elected Board of Supervisors of the Pelican Marsh Community Development District (CDD) is responsible for the operations, upkeep and capital projects related to common facilities such as streetlights, sidewalks, landscaping, lakes and water management.